Duke Ellington, Thelonious Monk, Richard Wagner and Claude Debussy you say? Composer William Banfield links his chamber music and song creations to the great Afro-American tradition of spirituals, the jazz heritage of Duke Ellington and Thelonious Monk, and the harmonic influence of European composers like Richard Wagner and Claude Debussy. "This music tickles the ear in a new way at each listening. 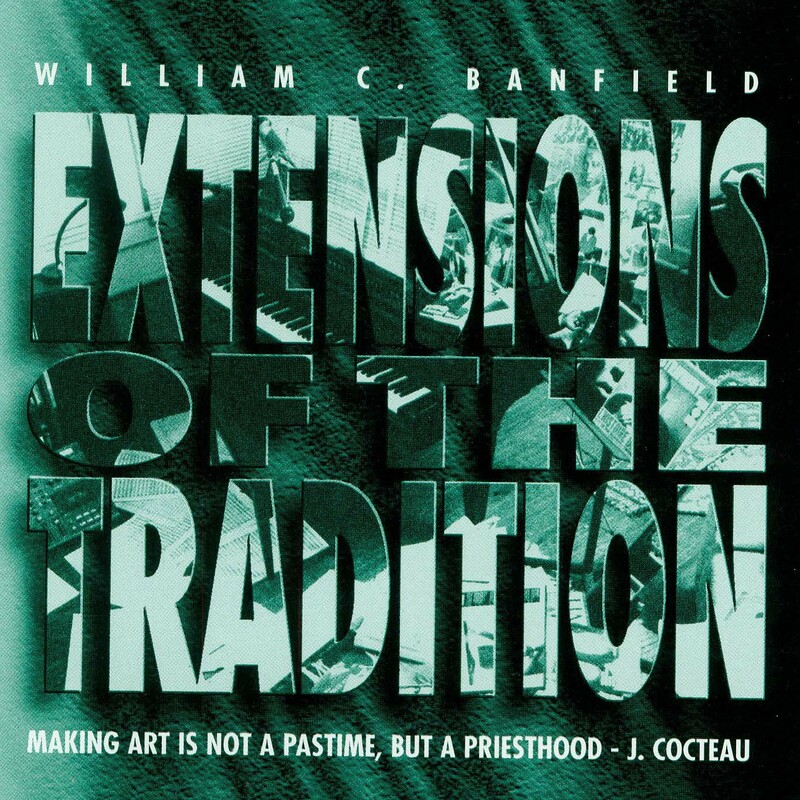 Blending the traditions of African American spiritual songs, jazz, and classical music difficult, yet William C. Banfield mixes these better than Quik mixing into milk. New music rarely achieves the state of originality that Banfield finds within himself. Extensions is surprising, emotive, hard to describe in words. These compositions are that fress. Drawn from tradition, Extensions is alive far beyond imitation."